No longer does a brand simply mean the mark that distinguishes your company from another. Brands and branding go a lot deeper than just a visual identity. A brand consists of every experience your customers have with your company or your product. Branding began as a simple idea but now has grown into a complicated concept. The change came so quick that a lot of people don’t even realize that it happened. Early in the 20th century, customers didn’t have very many choices between brands (for certain items there was no choice at all). Through the continuous use of a product, they would gain an general understanding of a company and would garner trust from them. As a result of the industrial revolution and the ability to transport goods around the nation, the amount of brands multiplied and customers had a lot more options to choose from. Companies needed to utilize more than their logo to differentiate them. They started using mottos, slogans, taglines, etc. to get their brand messaging across. 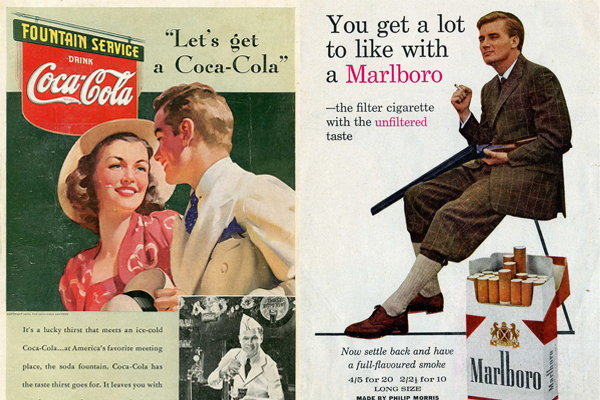 By the 1940s manufacturers started to realize that customers were actually developing relationships with their brands. A brand couldn’t simply be a visual identity anymore because that alone doesn’t create an experience or a relationship. That is manifested when people understand and agree with your values. If you think about your friends, you probably like to be around them because you have similar interests and principles. The same is true for brands, we create relationships with them based on shared values. Essentially, you can’t just create a brand or “brand” a company. The process of branding doesn’t happen in creative agencies, marketing firms, or strategy meetings. It happens out in the wild with your customers. When your audience has an emotional connection to your company and they know that your values align with theirs then you’ve made a relationship. When those people are advocating for your company and people who have no previous experience with your company can tell what you’re about, then you’ve made a brand. Austin McGhie, President of the Strategy Group at Sterling Brands, defines a brand as “Emotional shorthand for a wealth of accumulated or assumed information.” That may seem pretty cryptic at first but he is really saying that your brand is your interaction with the audience. It’s the way in which people perceive your company and your values. If there is no consistency in the way people perceive you then you don’t have a brand. If people can’t discern anything about your company from your identity or messaging then you don’t have a brand either. Great companies reach the status of brand by positioning themselves effectively in the marketplace and remaining true to the messaging and voice they’ve established. Being consistent doesn’t mean that you’re tied down to harsh messaging guidelines. As well, your attitude and voice will constantly be evolving over time as you gain new experiences and knowledge. In a lot of ways you can be more consistent by having small changes because the company will start to have more personality. If you think about a really strong character from a television show you can understand their personality and know, generally, how they would act under certain circumstances. When they act accordingly, it strengthens your bond with the character but when they act out of character it can cause you to like them less. A brand is not a logo on a business card and it isn’t a set of brand guidelines. You can’t build a brand without passionate, creative, driven, and analytical people. Building a brand take years of devotion and not all companies are able to achieve brand status, but if you’re willing to put forth the effort you will have created a brand that is meaningful to people.